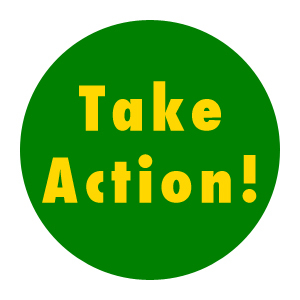 Action Alert: Tell Congress to say NO to Fast Track on trade deals! January 9, 2014 UPDATE: The Fast Track bill has been filed. Representative Camp (R-MI) and Senator Baucus (D-MT) have filed companion bills in the House and Senate. We don’t know when the vote will occur, so please keep up the calls to tell your Representatives and Senators to vote NO on Fast Track authority for trade deals. Take action now! International courts, acting at the request of private corporations, overturning the laws adopted by your elected officials. Does that sound like a good idea to you? 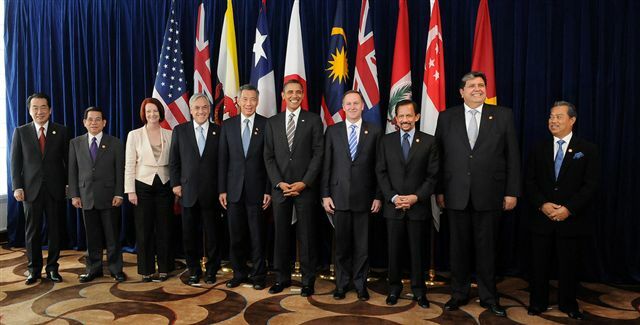 Scarily, if the Trans-Pacific Partnership (TPP) trade agreement goes through, you’ll see a lot more of this. The TPP is a new so-called “free trade” agreement being negotiated between the U.S. and a dozen other Pacific Rim countries. But the reality is that the TPP is a permanent power grab by corporations that will make it impossible for the citizens of the TPP countries, including American citizens, to decide what laws and rules they want to live under. The secretive talks are in their 14th round, having begun under George W. Bush in 2008. Little of the document being negotiated has been made publicly available, but what we do know is disturbing. The TPP would go well beyond NAFTA in tearing down domestic laws of all kinds, from food to financial services. American manufacturers and farmers would suffer, while Wall Street banks would reap huge profits and companies would move more operations offshore. As the TPP nears completion, President Obama is also pushing a separate trade agreement with the European Union that includes very similar provisions. President Obama doesn’t want Americans to look too closely at the details of these deals. He plans to seek “fast track authority” for the negotiations, meaning that he and whoever comes after him would be able to negotiate as desired without oversight by Congress. Didn’t our constitution create three federal branches – executive, judicial, and legislative – to ensure checks and balances? The vote on Fast Track authority for the TPP trade agreement could come very shortly after the New Year. Please speak up now! Tell your elected officials that you want them to do their job and take a good, hard look at the TPP – not simply give President Obama a blank check to negotiate away our domestic laws. Our best chance to stop the Fast Track is in the U.S. House of Representatives. Call or e-mail your U.S. Representative. You can find who represents you at www.house.gov or by calling the Capital Switchboard at 202-224-3121. If you send an email, please be sure to personalize your message! Add a couple of sentences at the beginning about who you are and why these issues matter to you – it will make a much bigger impact. My name is ___ and I am a constituent. I am calling to urge Congressman ____ to vote NO on Fast Track authority for the TPP and other trade agreements. Both the Trans-Pacific Partnership and the U.S.-EU Free Trade Agreement will harm American workers and consumers. A true free trade agreement would remove trade barriers such as tariffs and quotas — and it would stop there. But these agreements go far beyond free trade, and they would undermine our domestic laws. The deals will increase the flow of dangerous fish imports from Southeast Asia, lower our consumer product and food safety standards, increase exports of natural gas to Japan, and undermine financial regulations. Fast Track authority leaves the decisions on these agreements in the President’s hands alone. That’s not how Congress is supposed to work. I urge Congressman ____ to vote NO on Fast Track authority for trade agreements, in order to keep the proper checks and balances in our system. Then contact both your U.S. Senators and urge them to oppose Fast Track authority for the TPP and other trade agreements. You can find out who represents you at www.senate.gov or by calling the Capitol Switchboard at 202-224-3121.